There seems to be a common misconception that they key method for gym based personal trainers to sign up new clients is to walk the floor and basically hard sell free taster sessions. The hope being that these can be converted into paying clients. Although walking the floor is very important, gym users are becoming increasingly savvy as to what is behind the extremely kind-hearted offer from a new personal trainer to give them a free taster. This is making it increasingly hard to gain new clients this way, this leads to personal trainers having to think of increasingly innovative ways of picking up new clients. 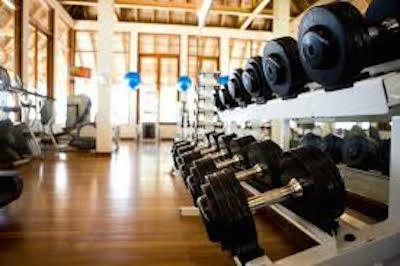 Now don’t get me wrong, being on the gym floor is a vital part in your marketing but your focus should not initially be the sale, it should be the client and building your reputation and brand. If you walk the floor with the intention of having as many positive interactions as possible, this could be helping a member by offering some advice, to spot them or just a bit of general conversation. This should be with the intention of building image initially not sales, and if you have a strong image within the gym the sales will follow. There is an old saying, not sure who originally said it but ‘people buy off those they know, like and trust’. By having as many positive iterations as possible you are starting to become one of the trainers in they gym that the members know, like and trust. So how do you go about this, remembering that many gym chains insisting on you maintaining their brand standards and working within very tight marketing rules. Attendance at gym events – many gyms are using a wide variety of events to make the venue more of a social hub. Common events are based around sports such as tennis, football, etc… Also many gyms hold regular social’s such as curry nights, comedy nights, attendance at these kind of events will help you to build your profile amongst the membership. Walking the gym floor – this old school approach is still very valid, and does help to increase your number of gym floor interactions. However a massive word of warning, clients are getting very savvy to the whole gym floor sales process so going up to clients offering free personal training taster sessions may make some clients run for the hills. You should come across as least sales orientated as possible and show a genuine desire to help the client. This is often remembered and if and when a client is ready to look at personal training they will come to you. Gym floor classes – by being in front of a group on a regular basis you have the opportunity to get known and prospective clients have the chance to try before they buy. This also offers you the opportunity to regularly make class attendee offers, such as discounted inital sessions for those who attend your class. The key is visibility and reputation, if you become the best known and respected personal trainer within the gym the sales will follow! Let me know how you go with these!